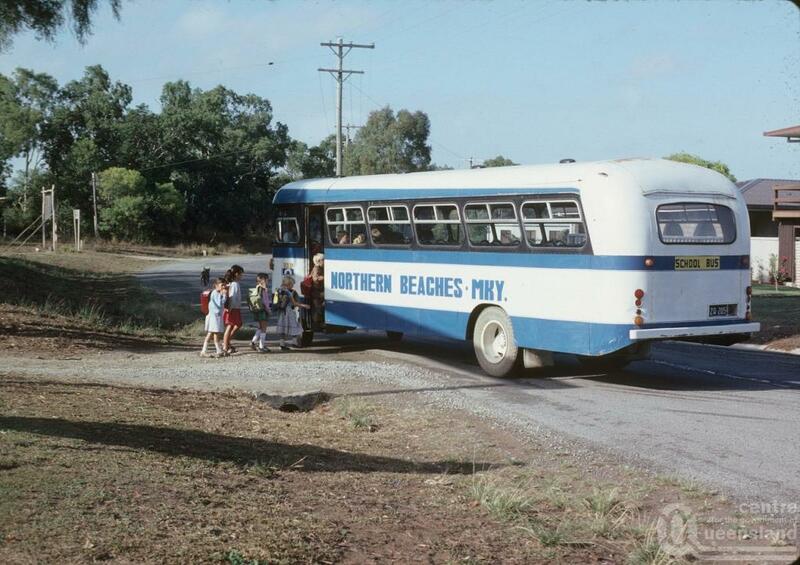 I grew up on a cattle station and I used to catch the bus to primary school. All day at school I would want to be home watching the jackaroos work cattle or swim in the trough down at the bore if it was particularly hot. I especially liked Tuesdays on the property because the pie man would come all the way out from town and they don’t make pies like that anymore…but where was I? Oh yes….the school bus. I remember when I was about 5 the teacher used to line all of the country kids up and make them go to the toilet before they got onto the school bus. I would usually hide, too engrossed in playing marbles under the Burdekin Plum trees or playing blocko. No matter how badly I wanted to go to the toilet I refused to let such nonsense get in the way of playtime and my social networking. To get from our railway siding where the bus stopped to the homestead we would have to scamper across the railway tracks, sometimes having to wait for the 4.00pm Puffing Billy, across the paddock and climb over about 3 sets of cattle rails. No easy feat for a 5 year old with a full bladder I can tell you. And beckoning and urging me homeward bound was Mum’s homemade fairy cakes and a glass of cordial for afternoon tea and …yes, there was that full bladder testing my patience. Clearly distracted by thoughts of a sip of sweet Cotties, in whatever flavour was on the menu, I climbed the first set of cattle rails…good, only 2 to go…made the second, phew nearly there….I climbed the third and then it happened…first a slight trickle….I froze on the spot….then a steady stream soon followed. My sisters’ looks of delight, horror and laughter at my unfortunate predicament and their shouts of “I’m telling Mum on you” were totally lost to me in the shadow of my utter relief. Now you would think you would only need this to happen once in your life to learn your lesson….Ah no! I continued to wet my pants at the first, second or third cattle rails every afternoon, like clockwork, for 3 days straight, until my mother threatened me with more chores than my sisters. So do you think I lined up with the other kids and went to the toilet before I got on the school bus after that? No…I just ran faster.